This shot I clicked inside my house, right near the entrance gate. 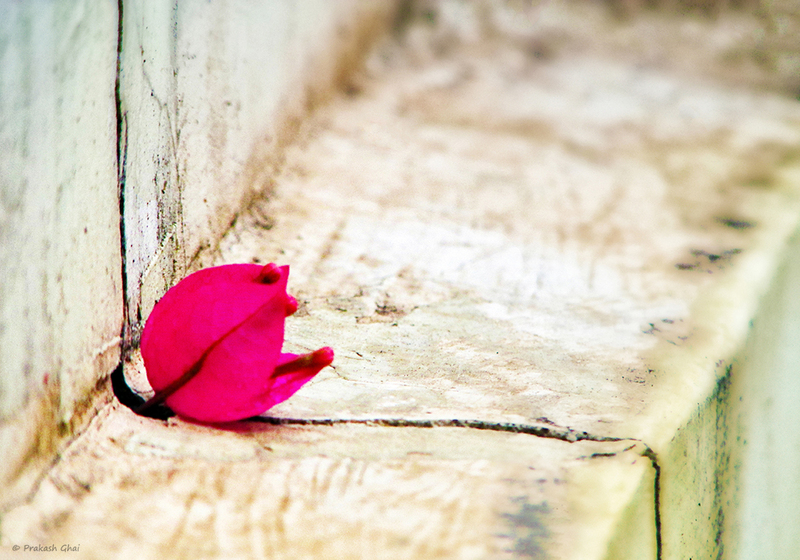 The special positioning of the pink bougainvillea flower in the crack of the wall caught my attention. This in a way represented the will of a person to fight and try to live "Against all odds", against the backdrop of challenges. Yes, the message was good. To enhance the focus on the subject, I used a shorter depth of field. The flower was kept on the left, leaving negative space on the right of the frame. Please remember to stay as close as possible to your subject for clearer shots. I agree but, that if you are a little far, then you get better or shallower depth of field. You have to just find the right balance.